The Silk Road is getting even silkier. 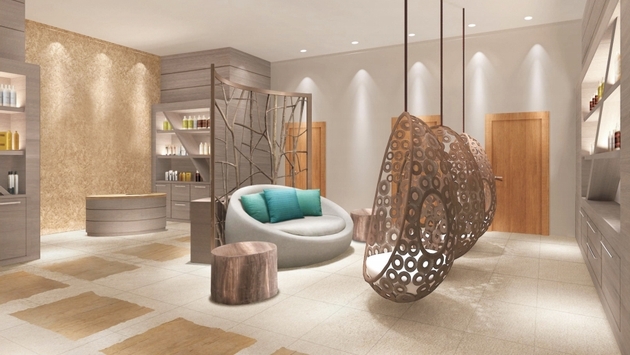 Six Senses Spa opened its first spa in Central Asia in the 37-story Esentai Tower. One of the tallest buildings in Central Asia, Esentai Tower is part of the Capital Partners’ Esentai Park development in Almaty, Kazakhstan which also features The Ritz-Carlton, Almaty, an extensive shopping mall and residential complexes. Opened in December, the Six Senses Spa at Esentai Tower measures 16,145 square feet and features five treatment rooms all with city views, facilities include hammams, saunas, steam and experience showers. There is also a fitness center and a studio for wellness activities. The spa menu includes Six Senses’ signature specialties and a range of NANNIC innovative face and body treatments which use radiofrequencies and highly concentrated serums to deliver immediate firming and lifting results. The spa’s relaxation pods use mood lighting and a calming water fountain mirrored across the room to enhance the post-treatment renewal process. This, coupled with soft music and Six Senses signature teas, exudes an aura of relaxation after a restorative treatment. Six Senses Hotels Resorts Spas is a hotel and spa management company comprised of nine resorts and 28 spas under the brand names Six Senses, Evason and Six Senses Spa. Set to double in size over the next three years, Six Senses operates resorts in far-flung locations.